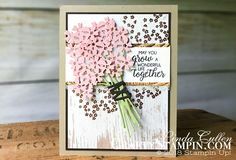 “So glad we are friends”, such a great sentiment from the Stampin’ Up! Incredible Like You Stamp Set from the Occasions Catalog, perfect for any occasions. The Tropical Escape Designer Series Paper creates a great color palette of Pear Pizzaz, Night of Navy and Blushing Bride. The finishing touch is the Pear Pizzaz 3/8″ Shimmer Ribbon. Reserve your 2019/2020 Annual and Occasions Catalogs here. 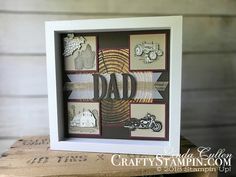 Beautiful and very creative cards indeed!